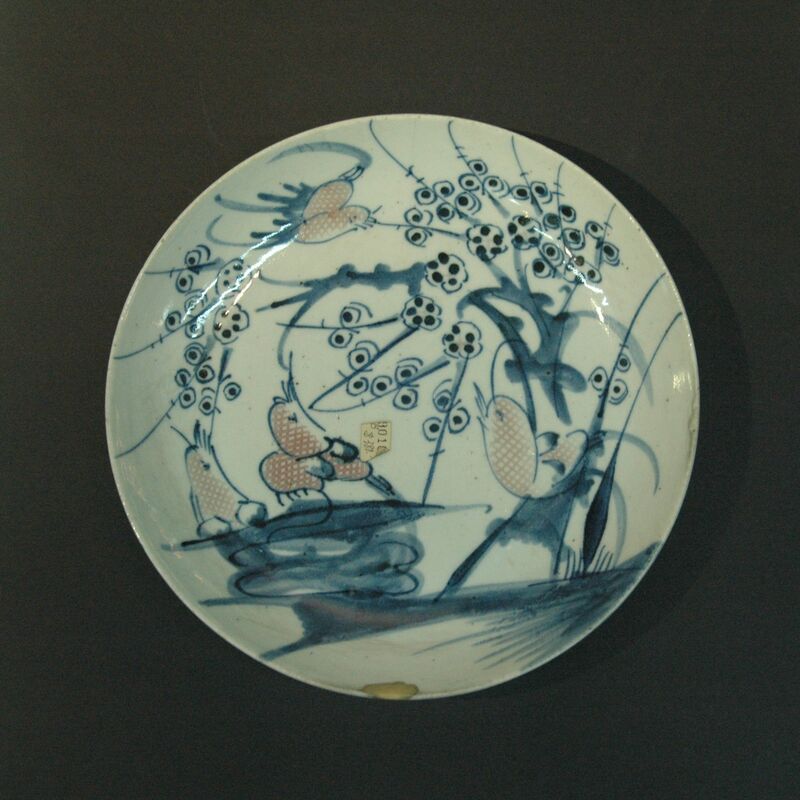 The composition of this plate of the bird and the plum blossom which gave the plate its name – plum & bird plate. The theme of bird and plum tree can be found on painting, pottery, jewellery, stationary, etc. The pair sometimes are fighting for the attention of spring and sometimes delivering good news, they are often seen together. Plum tree blossoms in the spring time, a start of a new year, both a sense of joy and happiness. The bird, pica pica, is a special bird, according to the Chinese “Book of Birds” (around 500B.C. ), the pica pica is capable of telling the weather – “If it sings with its head upwards it will be sunny, if it cries with its head facing down it will rain, people will be happy just listening to it sing”. Looking at the plate, it seems weather will be good tomorrow, have a nice day everyone! Though it is not a pica pica (magpie) and it didnt sing, nevertheless its a nice clip.